Here is a review of Tapple - Fast Word Fun for Everyone and Wonky: The Crazy Cubes Card Game, both great games from USAopoly! Both of these are really fun games, that you could include in a family fun night. We like to get the whole family together at least once a week to play games. We especially like ones where we interact with each other. I am going to tell you about Wonky first. This game is probably designed for children a little younger than mine, although my daughters still had fun when we played. Wonky is for ages 8 and up. My youngest is almost 15. Anyway, Wonky is a fun stacking game with odd-shaped blocks of different sizes. You have 3 different colored plastic shapes (squarish), in three different sizes, small, medium and large. The first person draws a card and it will tell them either what color, or what size block they have to choose. This will be the base you build on. Each player in turn takes a new card and adds a block to the tower based on their card. The whole idea is you can not touch the tower with your other hand and you can not move any of the previous blocks to help steady your's. Needless to say, the first two moves are reasonably easy, but after that it gets a little tricky. I lost all of the first three games we played. :( Please do not think this is not a fun game because it is, I just think it might be for younger children then I have. Tapple on the other hand although also for ages 8 and up was extremely well received. We have played this numerous times and shared it with some of our friends. Tapple has a circular game piece with 20 letters of the alphabet on white tabs. There are cards in the base of the game that are needed for play. You will need two AA batteries to play. So, place your batteries in and turn your game on. Shuffle the cards and get ready for some fun! Decide if you are going to do the red or yellow on one side of the cards or the blue or white on the other. We let the player who turned it over choose. After they choose the category, they push the red button in the center of the game which starts the timer. At this point they have to come up with a word that fits the category that begins with one of the letters on the tabs. As soon as they think of a word, they press down the corresponding letter tab and hit the timer as the play proceeds to the next player. You can only use the letters that are still in the up position. Play continues around. If you can not come up with a word before the buzzer sounds you are out and play continues without you. Don't worry you will not be sitting there long as the game moves along pretty quickly. 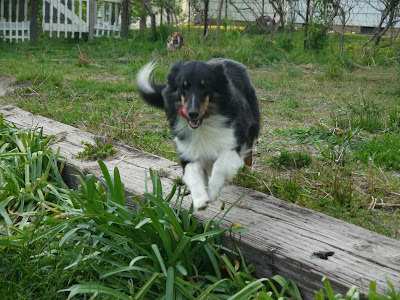 Here are a few of the categories: In the Yard or Garden, Something Round, Bad Habits, Colors, or Ice Cream Flavors. I mean try coming up with Ice Cream Flavors quickly that begin with J, K, or G. Needless to say the last one left is the winner. Yes, a few times we actually made it all the way through with everyone still in, but not often. You can find Tapple and Wonky on the USAopoly website. Oh and be sure to check out their social media pages. Be sure to see what other TOS members had to say by clicking the link below. Only a few days left, so I am adding 2 more $5 gift cards. One McDonalds and one Surprise! So, make sure you have entered and then tweet and share as much as possible. Enter HERE. That makes five $5 gift cards. One Krispy Kreme, one Chick-fil-a, one Subway, one McDonalds and a surprise. How does that sound for a great way to start fall? Thanks for stopping in! See you soon! 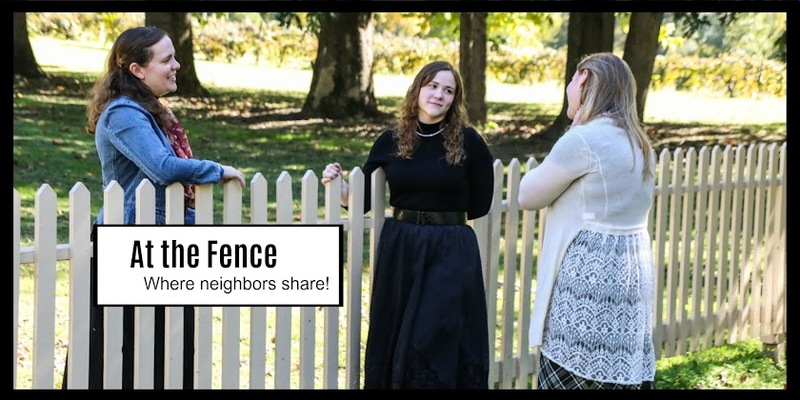 At the Fence is gearing up for our annual Holiday Gift Guide. We are presently seeking sponsors and individuals who are looking to have their product shared with you, our neighbors! If you remember from previous years we have reviews and review/giveaways from the end of October right up to mid-December for your holiday shopping experience. 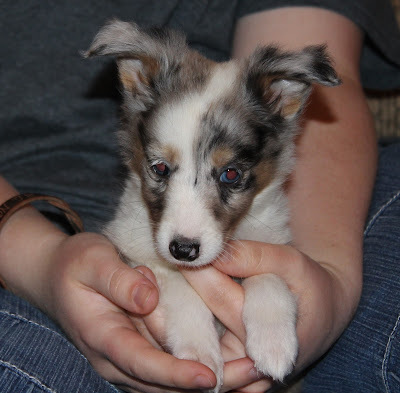 We will feature, toys, games, household items, gifts for her, gifts for him and even our family pets will be included. We will have our Holiday tab up where you will be able to search through the companies and businesses represented in the Holiday Gift Guide. Have some suggestions or want to participate? Contact us at:blessed6mom@yahoo.com or Atthefence@gmail. Or you can leave a comment below. Thank you for stopping by to visit! See you soon! To companies wishing to participate in our Holiday Gift Guide please use the emails above. Thank you. 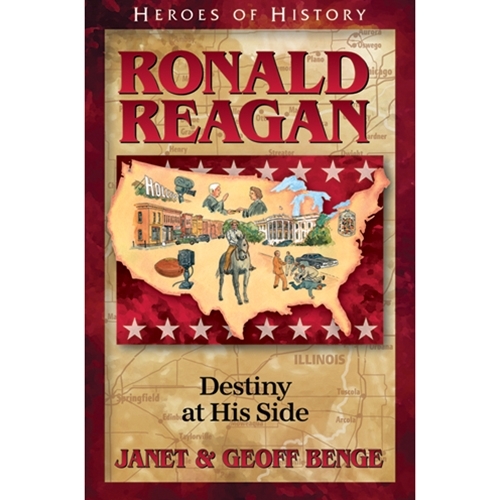 Here for review today we have Heroes of History Ronald Reagan, Destiny At His Side. This book is published by YWAM Publishing. Ronald Reagan is a 221 pg. paperback book, recommended for ages 10 up, written by Janet and Geoff Benge. YWAM also has a downloadable curriculum study guide for each of their Heroes of History Books. Be sure to visit their website for a complete listing. YWAM sells each book individually, but they also sell a few collections, where you can purchase several books together. I want to start off here by saying that my 14, almost 15 year old daughter loves history and Ronald Reagan is one of her favorite historical figures. She often share quotes from him on her social media, so she was super excited to get to read this historical biography. She started reading the book the day it arrived as soon as I removed it from the packaging. She approached me minutes later with questions concerning something in the book that she wasn't sure about and I required her to go study it out. Yes, I now have notes in the side bars of the book where she would notate something she wanted to go look up further. I love that this book encouraged her to study deeper into the life of Ronald Reagan. This book and of course the others in this series make a great study for homeschool, or you could read them together as a family. We often do this with books and then discuss together what we have read. M was easily able to read a chapter at a time. After finishing a chapter you can assign something from the curriculum study guide to further their learning. YWAM is phasing out the CDs and going to downloadable curriculum study guides. The curriculum study guide contains all different types of resources for you to implement into your homeschool curriculum. There are essay questions, field trip suggestions, project ideas, and many other helpful ideas for your school scenario. You can pick and choose what you would like to do and what would interest your child. There are links to other helpful articles, music from the era and movies. We personally own several other titles in both this series and their Christian Heroes series. Our family has read several of them individually and my daughter has read every one we own. We have a small collection of these titles on her bookshelf. The Christian Heroes series includes many well known missionaries, her favorites being Gladys Alyward and Eric Liddell. Take a moment to click on the banner below to see what other TOS members had to say about the book they received for review. Since we received so many different titles you might enjoy seeing the reviews on the other books. 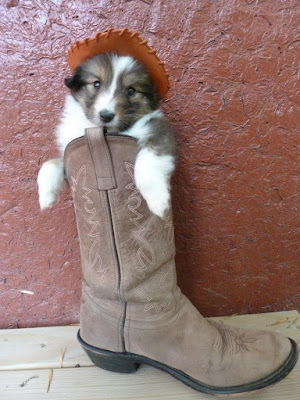 There is a really exciting dog photo contest going on right now, sponsored by PlexiDor. They make those really great pet doors, so your pet can go in and out by them selves. The contest is open to any US resident of the contiguous 48 states. The contest is open until December 15th. Obviously they ask that all photos be family friendly. There is no purchase necessary, and they are some really SUPER prizes. First place winner receives 1,000 lbs. of your brand of dog food, plus a PlexiDor Performance Pet Door. 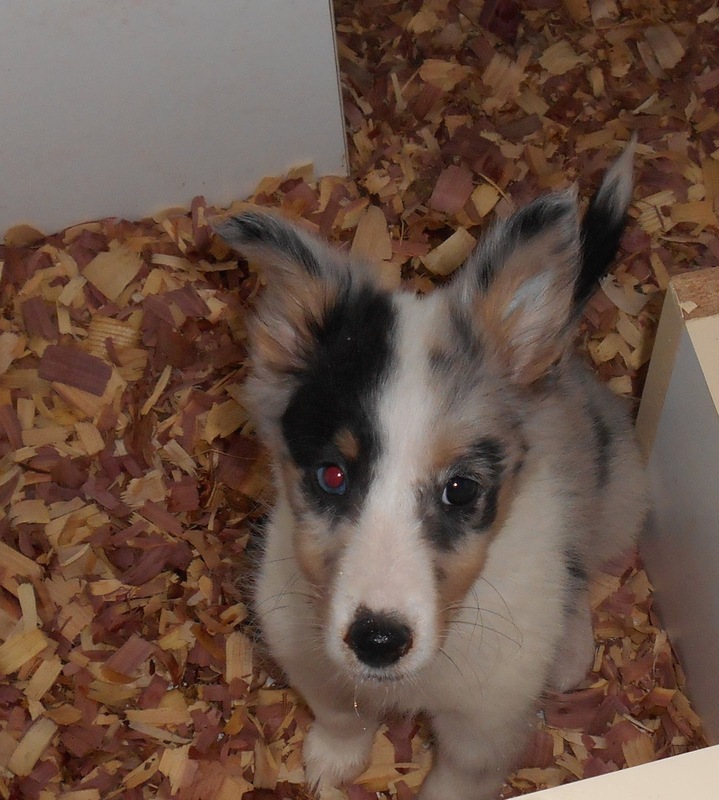 Second place receives a PlexiDor Performance Pet Door with Installation and a $25 Visa Gift Card. Third place receives a gift basket of toys, treats and chews. How does that sound? Not to mention, when you enter you are automatically enrolled in their monthly contest for a basket of toys, treats and chews. Do we have a paws up for this one? We just received our PlexiDor Dog Door and need to have it installed yet, but I am really excited about it! Since we have 5 Shelties it will be great to have a door they can use themselves to go in and out. We have a side yard that we walk them in with easy access by our side door, but it will be so nice to allow them to go in and out as they please. One thing I really like is the PlexiDor can be locked. That means, at night after they have had their last walk outside, I can lock the door to keep them in for the night. Also perfect for when we go on trips, because I won't have to worry about someone gaining access through the pet door. Oh, and the small door works for cats! Now, we just have to decide which picture to enter ourselves. Take a glance at the ones we have posted here and leave a comment if you really like one, or one stands out to you. Thank you for your help. You can find PlexiDor on their social media too! Be sure to enter the photo contest! Leave a comment here and let us know if you plan on entering! See you soon. Just added a $5 Subway Gift Card! Make sure you have completed the first required entry and then begin tweeting and sharing! So far we have a $5 Krispy Kreme and a $5 Chick-fil-a and now there is also a $5 Subway. Make sure you continue entering! Go HERE to enter! 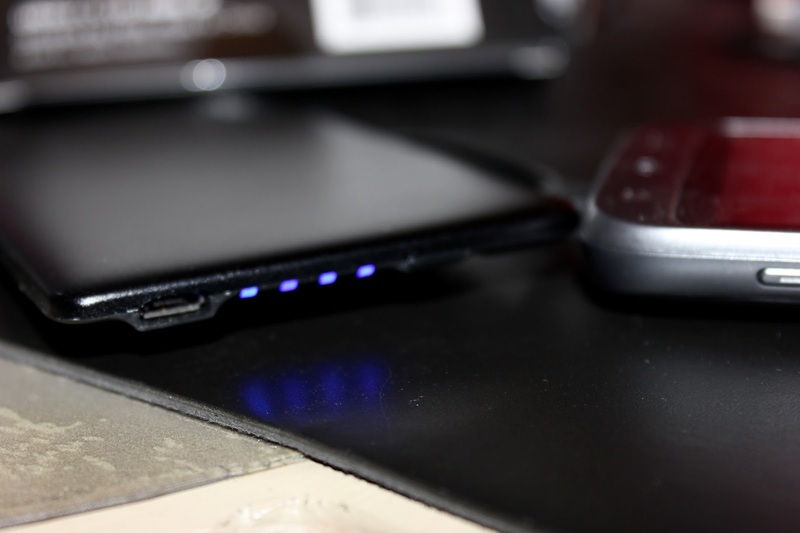 PERI GoCharge Micro-USB Ultra Slim Portable Power Bank Review! How is everyone doing today? We are doing great! We are trying to get back into our regular routine after having a family of eight visiting us for right about a month, as well as having three rooms tiled, and tons of outside work done (new siding added to the house, a wooden walkway down to the road complete with lights and a roof, etc.). Of course, in a little less than two weeks we are leaving on a two week vacation anyway, but we want to get back into our groove for a little while. One of the things I am definitely packing for our trip, is the GoCharge – Ultra Slim 3200mAh Portable Power Bank w/integrated Micro USB cable from PERI. This little portable charger is handy for someone that has electronic devices that they use quite a bit, and even more so for travelers. There are several awesome features that I will tell you about in a few minutes. 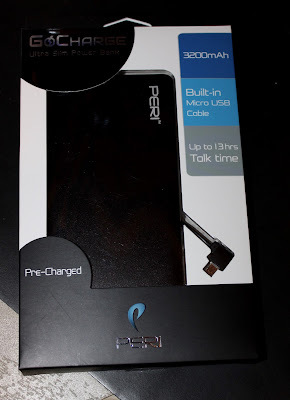 I want to take a minute to tell you about PERI and how they got started... "PERI is an innovative brand set on defining the way consumers view hi-definition audio and mobile power accessories. Focused on creating mobile, portable, home and car audio products paired with the latest audio and networking technologies, PERI is a brand for all walks of life. 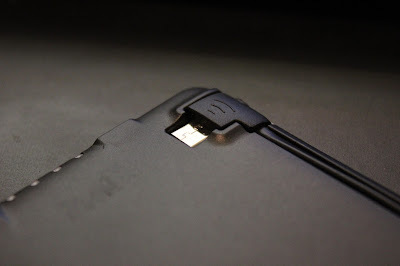 Through the integration of hardware, software and industrial design, PERI provides an unparalleled product experience. PERI was founded in 2014 by a team of high-tech engineers and accomplished business executives with a passion for audio and music. With initial financial support from friends and family, the team was able to develop the Duo from concept to working prototype." 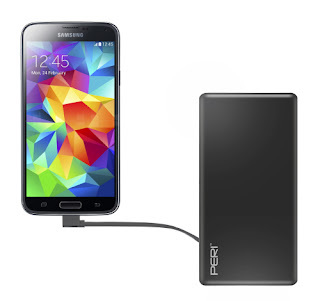 I love the Ultra Slim design of this portable power bank. 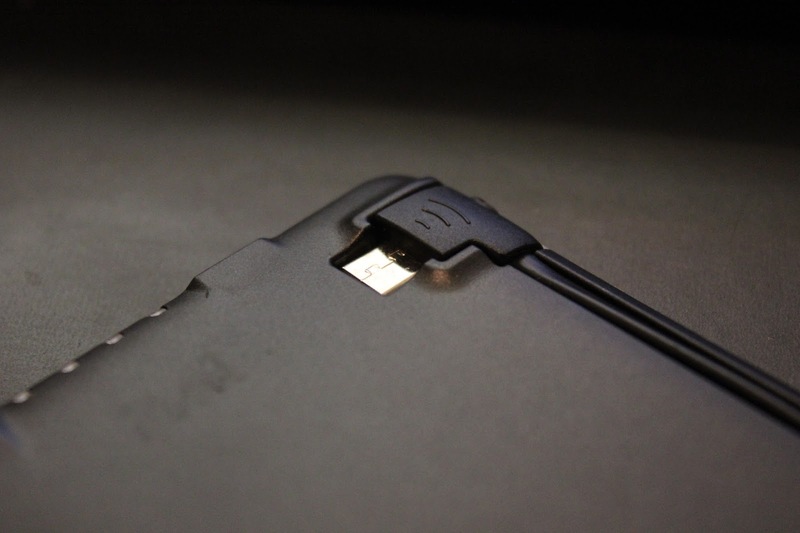 It is literally only a little bit longer than my phone, and it is about half as thick. Very easy to throw in a purse or pocket and pull it out when needed. This is going to be an absolute necessity on our two week trip at the end of this month where we will be running around to meetings and activities almost 24/7. Another one of my favorite features is that the micro-usb is attached to the power bank -- this means that you don't have to worry about losing the cord! 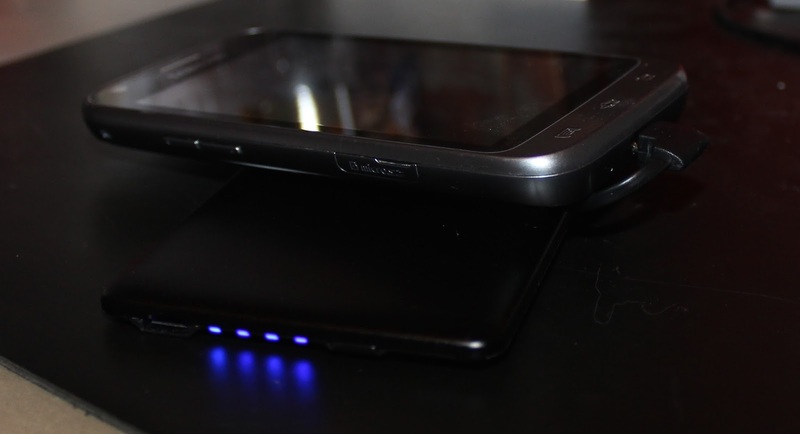 So, this is PERFECT for travelers of all sorts, or just people that use their devices a lot and just don't have time to keep them charged. You can purchase this (as well as other products) on the PERI website. You can also Follow them on Twitter to stay up to date with their latest news. Here is a post for all my tea loving friends! Delicious news! ALOHA is launching a free trial kit of their tasty teas! This Ultimate Tea Kit will contain one bag of each of their flavors (Lovers, Protect, Clean, and Beauty) plus their coconut sweetner — all for free! You only need to cover a small shipping fee of $2.50. ALOHA's herbal teas balance, purify, nourish, and beautify. And their coconut water powder (ALOHA Coconut) adds a dash of hydration and refreshing tropical taste to any beverage. Both are made entirely free of chemicals, "natural" flavors, or artificial ingredients. Cook with tea: Replace the water in any of your favorite recipes with tea for a delicious, all-natural flavor boost. Try black tea in your morning oatmeal. Robust black tea-infused oatmeal with maple syrup and slivered almonds is always a stunningly easy-to-make gourmet breakfast. Add tea to your workout regimen: Studies have shown that drinking green tea daily can help shrink fat cells and make muscle cells more active, according to the American Journal of Clinical Nutrition, due to the EGCG and caffeine in green tea. So drink up in order to move more quickly into that lean, toned body! Make tea your afternoon pick-me-up: It's 3pm and you're dragging. Try a refreshing tea instead of chemical-laden sodas, sugar-filled juices or heavily caffeinated coffees. Tea will give you a gentle energy uptick without the jitters or subsequent energy crash. You'll feel better, sharper and ready to finish the day strong. Pair tea with your meals: Channel your inner sommelier and pair each course of your meal with a different type of tea. Try green tea with your appetizer, black tea with your main entrée, and white tea with your dessert. Tea can balance the flavors in the food and aid digestion. Happy Sipping! And thanks for stopping by today! Why is it that companies don't offer the same pretty clothing for sizes 12 and up that they do for smaller sizes? Case in point, we were doing some Labor Day sales shopping yesterday, and found a beautiful mock layer cardigan, but needed to get it in what's considered "plus size clothing". Unfortunately, this particular piece isn't offered - even online - in larger sizes. I don't know how many times I've heard complaints from women who just want to be able to wear the same stylish clothing other "smaller" women wear, whether they are a size 12, 16, or 20! If you, or someone you know, is in that same boat, then here's a company you will want to check out. Alight.com offers plus size clothing for ladies size 12 to 34. I was able to choose an item for review from this wonderful company, and received the Black Stripe Maxi Skirt. 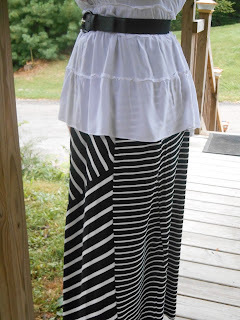 This skirt is not your average maxi skirt in that thin cotton material that will tear at the slightest catch, and requires multiple layers of slips underneath because of how see through it is! Instead it's made of a polyester/lycra blend, which gives it a nice lightweight feel, and it drapes so much nicer than cotton maxi skirts! 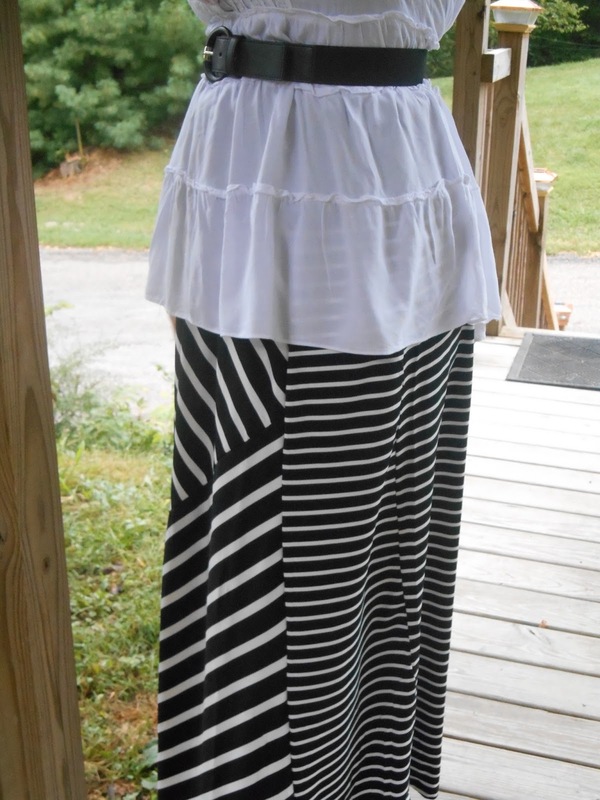 The material isn't the only thing that sets this skirt apart though; it also features a variated striped pattern in the front that is eye-catching! Add to that a lace-up closure and metallic button embellishments, and you've got a maxi skirt that isn't just comfortable, it's stunningly gorgeous as well! This pairs well with flats, heels or boots, and you can dress it up for Church or other occasions, or wear with a casual blouse or even t-shirt for running errands. Alight.com certainly offers some beautiful plus size clothing, and they have such a great selection. Dresses, skirts, tops of all kinds, and you can shop by size, trend, occasion, or category. Check them out, you're sure to enjoy the variety they offer! 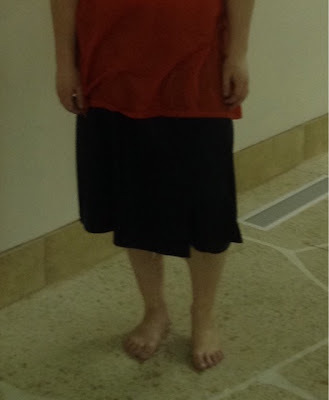 One of our readers will receive a piece of clothing (of the sponsor's choosing) from Alight!! Recently our family discovered The Real Co. This company offers three food products that are all natural, organic, and single-origin. I'll be honest, it's something I never really considered before, but The Real Co has made me more aware of things such as how many middle men there are for most foods we buy and eat. We were able to try all three products from the Real Co, and they were delicious! 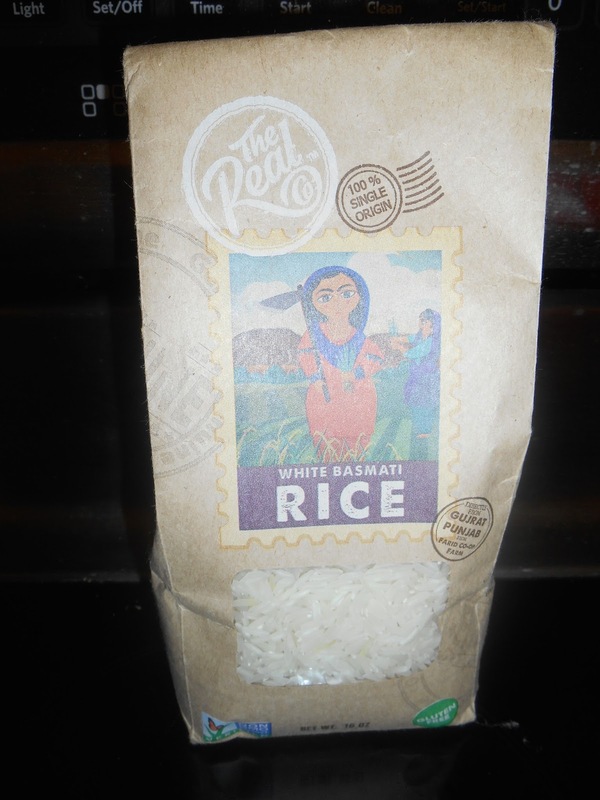 The first product we tried was the white basmati rice. I actually used this to make some Mexican fried rice, and it turned out very well. This was my first time eating basmati rice, so I was very pleased to see that the entire family enjoyed that flavor, and we won't have any issues using basmati rice in the future. I'll share the recipe below for this Mexican rice, but first let me tell you about the other two products. The Himalayan Pink Rock Salt was another new one for me. In fact, I was amazed at all the health benefits of this salt! Did you know it can help lower blood pressure, improve circulation, help your intestines absorb nutrients, and prevent muscle cramping, just to name a few benefits?! It's very easy to use; it comes crushed and ready to sprinkle on any food, or even use in food preparation. Definitely something you'll want to try! The last product is the raw cane sugar, again a product I have never used before. If you're familiar with raw cane sugar, then you know the darker the sugar, the more rich the flavor. As you can see by the pictures, this is a nice molasses-colored sugar that definitely gives you that great flavor. It dissolves quickly in hot or cold beverages, so even if you're wanting to add a bit to your iced tea, it will dissolve. As you can tell, we were very pleased with all three products from The Real Co. If you're looking for organic, natural, single-origin food products, I recommend you check them out. And now, as promised, here's the recipe for Mexican Rice using The Real Co's white basmati rice! Heat olive oil, add garlic and onion and sauté until onions are translucent. Stir in rice, toast 2-3 minutes. Add in tomato sauce and broth, simmer 2 minutes. Stir in corn, carrots and peas, chili powder and cumin. Bring to boil, reduce heat, cover and simmer for 15 minutes or until rice is cooked. Add tomatoes, serve immediately. I am adding a $5 Chick-fil-a Gift Card! Now we have a Krispy Kreme and the Chick-fil-a. I would like to add at least 3 more before this giveaway ends, so keep entering and sharing! If this is the first time you have seen a posting about this giveaway, be sure to go to the original post to enter. HERE. One more way to enter, leave a comment on this post telling what other $5 gift card you think should be added. Hope you all had a wonderful day today! See you soon. Sue Thomas FBEye Labor Day Special! If you enjoy watching Sue Thomas FBEye, you might be interested in a Labor Day sale they are having! They are offering 20% off on the Sue Thomas DVDs. Hop over and check it out at :www.suethomasdvd.com. Keep your eye out because we will be doing a review and giveaway of the first volume soon! Have a great day! See you soon. With Back to School shopping I thought some of you might be interested in this Reebok sale! Reebok is having a Labor Day sale! In honor of the hardworking men and women across the U.S., Reebok is giving us 30% off Tee's, Shorts, Tanks, and Summer Footwear with the code LABORDAY. Use this code at checkout between 9/3 and 9/7 and you'll be able to take 30% off your purchase! Shopping for clothes is always a big part of getting the kids ready to go back to school. One of my favorite companies to shop is French Toast, home of the top school uniforms and more! French Toast graciously allowed me to choose a few items to feature during our Back To School event. When these items arrived, the girls were thrilled to be able to model them for a photo shoot! 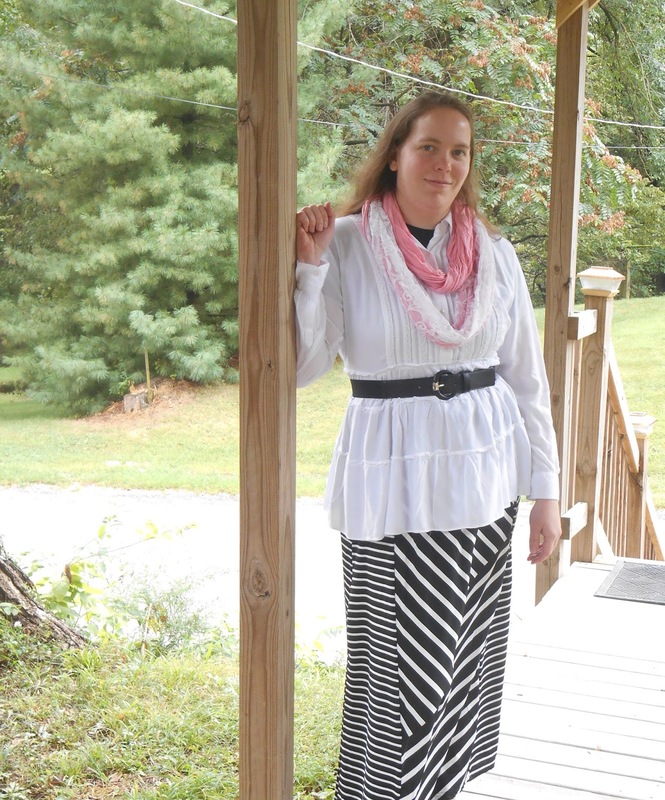 We received the Cardigan Blouse Twofer, V-Neck Sweater Vest, Girls Dress Blazer, and Ankle Length Leggings for review. The cardigan blouse twofer is so adorable, so femininely stylish. 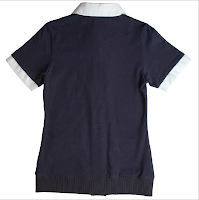 A cotton blend jersey features a mock collar and sleeves, making this cool and lightweight, without the added bulk of actually wearing a blouse and cardigan or sweater. This was honestly my favorite of the items, but M preferred the v-neck sweater vest just a little bit. 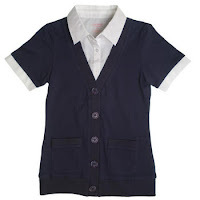 As you can see from the picture below, this sweater vest does look great on M. Pair it with a white blouse as she did for a classic school look, or maybe try it with a t-shirt, polo shirt, or different blouse. It's so versatile, and can be paired so many different ways for as many different looks! The other M also liked the girl's dress blazer. She loves wearing jackets or cardigans over her blouses for that extra fashion statement, so this is definitely perfect for her. Available in black and navy blue, either one can be paired with just about any color blouse and bottoms, depending on your school's dress code and your daughter's personal tastes! I love the gold buttons on this blazer; so dressy looking! The ankle length leggings are great for wear under a skirt. If your girls are athletic and active (like all the girls in our family are) then leggings are a must. These are available in khaki and navy, so again, you can pair them with anything. They're lightweight enough to be comfortable even during the warmer weather, but also great for layering in the fall and winter. As you can see, French Toast is our favorite school uniform company for a reason! 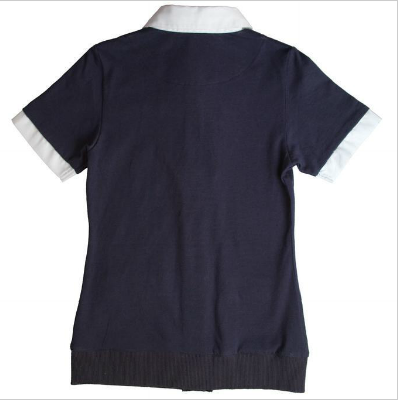 They offer boys uniforms as well, along with a wealth of accessories, shoes, and more. So if you're still looking for those last minute uniforms, tops, pants, skirts...be sure to check out French Toast! One of our readers will win their choice of 2 tops and 1 bottom from French Toast!! 100 Years of Swimsuit Styles! 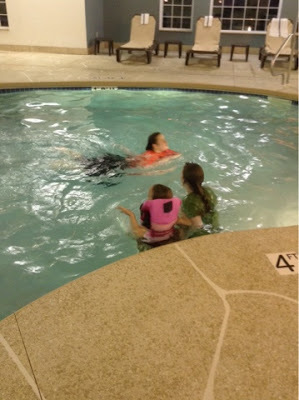 As a general rule our family is extremely modest when swimming. The girls all wear a t-shirt and a skirt below the knee with bloomers underneath or they wear culottes with leggings underneath. This is our personal preference. We as a family have previously done studies of swimsuits and how they changed over the years. We are always amazed by statements like, "I could never swim in something like that!" Women used to do many things with much more clothing on then we wear now. They used to garden, cook, clean, ride bikes and horses and many other activities that we today would complain about doing if we had that much clothing on. It is interesting to see the changes in bathing suits and the time periods they occurred in. Just in the 100 years from the 1900's to 2000, there were drastic changes made in women's swim attire. Take moment to click on the link above to see some of the changes that have occurred. We went from a one piece type suit in the early 1900's to baring the midriff in the 1930's. 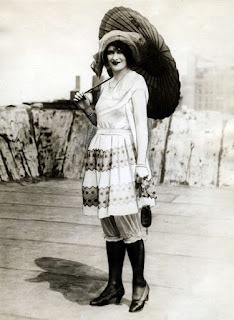 In the early 1900's a swimmer, Annette Kellerman, from Australia was arrested on a Boston beach because her swimsuit exposed her arms and her legs. We have come a long way from that time period. My youngest daughter, 14, loves to study history, so we often do studies like this. We enjoy going back and seeing what type of changes there have been in clothing, what we eat, vehicles, and how we work and play. Have any of you done studies like this? 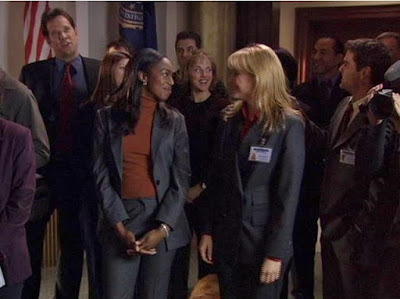 Do you find them interesting? Thank you for stopping by today! See you soon!